An abbey with important reach throughout Europe in the Middle Ages. 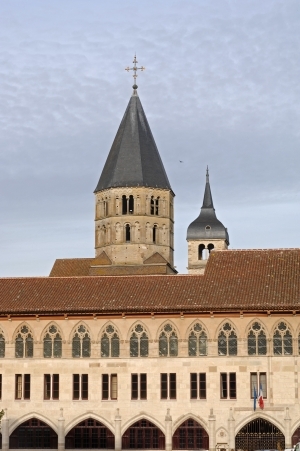 Founded in 910, Cluny Abbey radiated across Europe throughout the Middle Ages, with its large abbey church of exceptional proportions: the “Maior Ecclesia”. The highest vaults of the Romanesque world still bear witness today to this gigantism. A testimony to the daily life of the monastery, the Farinier (granary), built in the 13th century has retained its original structure. It now houses the capitals from the abbey choir. 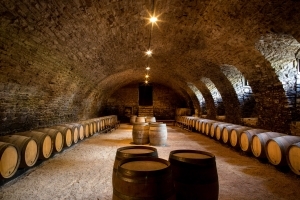 The Cellar, in the lower part, is also open to the public. 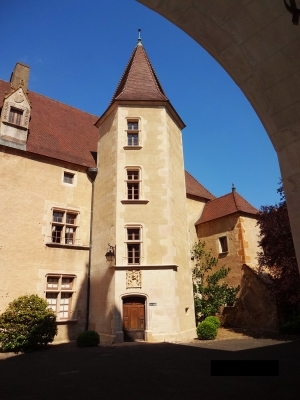 The Abbey of Cluny will be renewing its grandeur of the 18th century by a complete reconstruction of the monastic buildings that the monks only used for a few decades. The footsteps of the monks walking in procession still echo in the vastness of the cloister and galleries… A film complete the visit and enable restoring the majesty to what was once the largest church in Christendom. Site with the “European Heritage” label in 2015. Today, a meticulous and long drawn- out archeological job enables us to recount partly how the gallo-romans, the merovingians and up to the twentieth century this limestone quarry was worked. 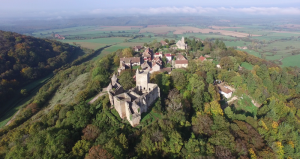 With its famous historical past, this 11th, 12th and 15th century Castle of the Dukes of Burgundy (and later the Kings of France) situated in the heart of Romanesque church and Macon vineyard country, between Cluny and Tournus, is the most important fortified site in Southern Burgundy. Don’t miss the 12th century church, 16th century market place. 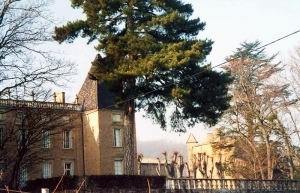 The Château de Corcelles is open to visitors. An audio-guide (to 12 people) or a guided tour will lead you around this magnificent site . 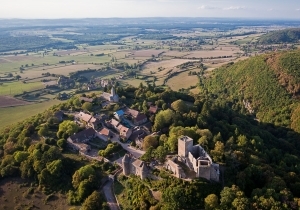 Between Cluny and the Rock of Solutré, 10 min from Mâcon: A fun and cultural visit brings you back to Middle Ages, from the vaulted cellars to the turrets of the tower. 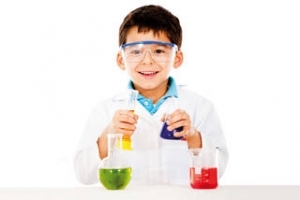 Anecdotes and historical information are revealed over the course of a self-guided tour where fun and memorable activities are specially fitted out for children (booklet-games, handling of a real chain mail, sensory play ...). 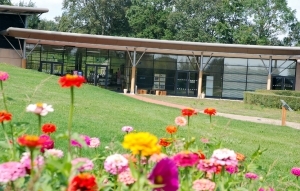 You can also taste the wines of the estate and get to the souvenir shop. 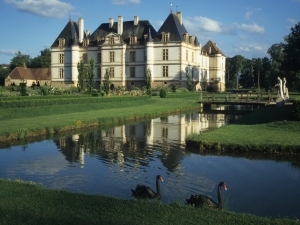 Château de Vinzelles – 1007-2007 : a millennium of history and traditions. 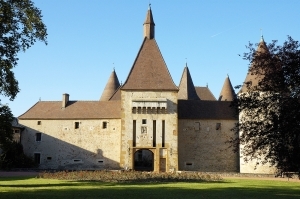 Treasury of the Southern Burgundy, the Château de Vinzelles dominates the valley of the Saône. 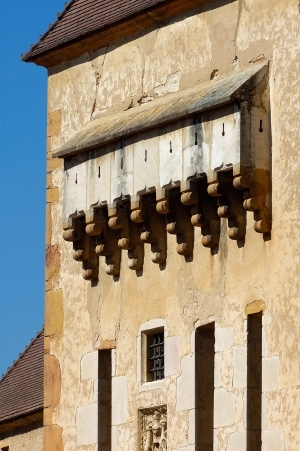 Architectural ensemble rermarquable which will walk you through centuries. 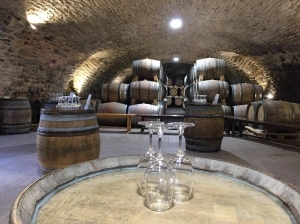 Strong house of the XIth, noble house of the XIII and XVIIth centuries, wine cellar of the XVIIth sheltering two magnificent presses " à grand point ". 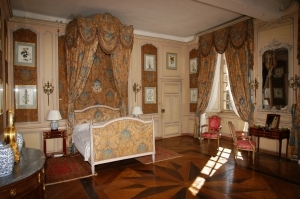 It is to the Grand Argentier, Claude de Bullion, the superintendent of the finances of Louis XIII that we owe buildings of the XVIIth century. Implanted from the Gallo-Roman time, the vine grows up in perfect symbiosis with the soil and the old stones. 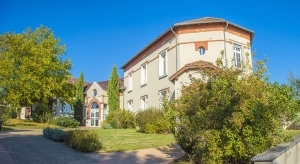 Family property, built by the forefathers of the current owners to protect the abbey of Cluny, Berzé dominates a magnificent panorama the vineyards of the valley of Solutré. 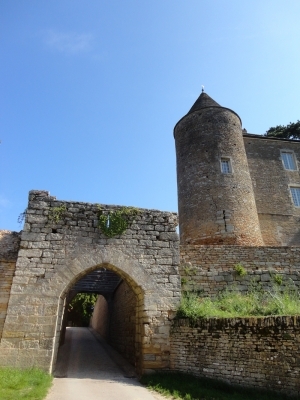 Built by XI ° in XV ° century around its Carolingian chapel, it preserves all its defensive system, thirteen towers, which two donjons, châtelet of entrance and its medieval rooms. 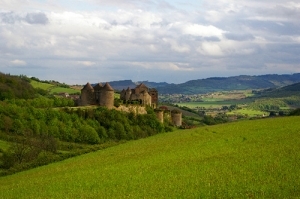 It is so the most important and preserved fortresses of Burgundy. Each of three surrounding walls shelters multiple gardens which since 2011 are rewarded by the label “remarkable gardens”: formal garden, orchards, kitchen gardens. Push the door of the "house", to see a traditional Bressan interior. 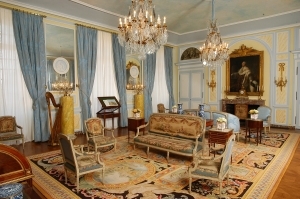 During open or commented visits, live the tradition, tame the customs and admire the costumes and objects of yesteryear in a warm atmosphere around the fireplace. The farm then offers you the possibility of strolling in the attic and stables to meet various tools of agricultural fields and machines. A real recovery in time. 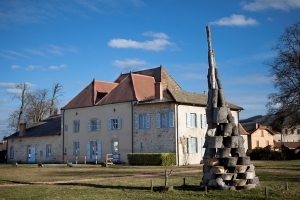 The Grand Site of France Solutré Pouilly Vergisson is a territory of 8 communes recognized for its exceptional heritage and landscape riches. The Solutré Rock, Vergisson Rock but also the Mont de Pouilly are its emblems. 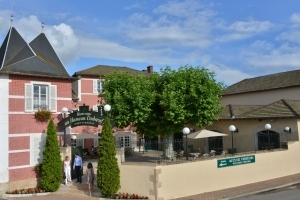 The Maison du Grand Site welcomes you all year to enjoy a moment out of time on the terrace and discover the riches of the place. 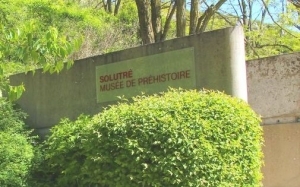 The Museum of Prehistory immerses you in the past to meet our ancestors. Open every day, closed from December 15th to January 15th and May 1st. 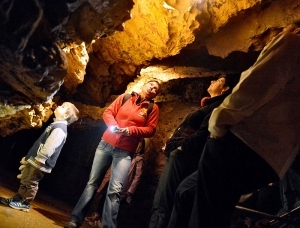 The caves of Aze compose the longest arranged underground network of Burgundy. 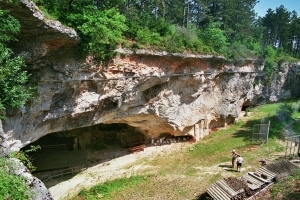 The prehistoric Cave is also the oldest habitat know in Burgundy : between 300 000 and 400 000 B.C. Worth seeing : Exceptional remnants of bears ans felines are found here. The underground river reveals the stroll of water and discloses a great geological diversity. 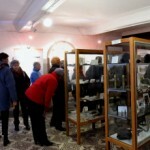 The museum thanks to the richness of its collections, helps with the understanding of the classified site of Aze. 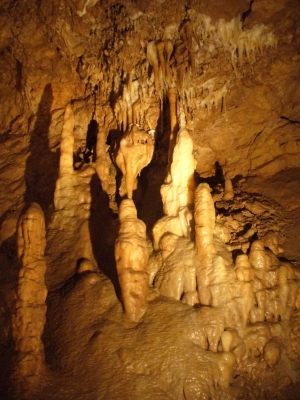 The caves of Blanot open in the Gorge de la Mangette on the western slope of Mont St Romain, the highest point of the Clunisois. Of very ancient formation (tertiary end), the cave grows in the limestones of Bajociens (Jurassic), in a tormented zone made of short limestone panels intersected by important faults. This strip of limestone comes up against the micro-granites of Mont st Romain. 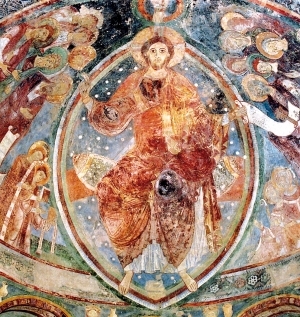 The Chapel of the Monks, a masterpiece of mural painting from the 12th century. The chapel was built at the beginning of the 12th century at the initiative of the Abbot of Cluny Hugh de Semur, builder of Cluny III. It was part of a priory of which it is today the only vestige. Discover the lower chapel which still retains many traces of a painted decor and the high chapel, famous for its exceptional wall paintings. 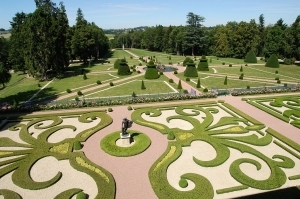 In a park raised and surrounded by a symposium of sculptures, the Manor of La Maison des Patrimoines accommodates you for a discovery of the Burgundian heritages. On a surface of approximately 800 m ², distributed on 2 levels, in 13 rooms arranged in a modern and interactive production, it combines the text, the sound, the visual one and the film, volume, the touch, the digital interactivity, the reconstitution of environment, the objects and collections. It structure in 3 main themes: Nature, History, Tradition. 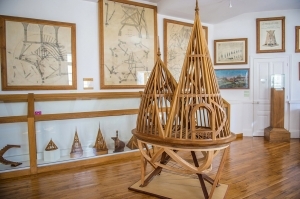 La Maison des Patrimoines proposes also all the year of the internships (botanical, waterfinders, potteries, cosmetics…) and of animations for the children! Ein Rückblick auf den Weinbau des letzten Jahrhunderts. 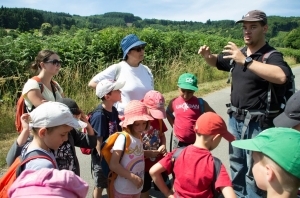 Kommen Sie und entdecken Sie unsere Weinbauausstelllung mit Werkzeugen, die im Weinbau verwendet wurden...mit dem einzigartigen Klang der Jahrmarktsorgel und Ihrer Trinklieder. Eine Sammlung aus mehr als hundert Weinbauwerkzeugen wird Sie auf eine Zeitreise mitnehmen, bei der Sie die Anbaumethoden unserer Ahnen entdecken können. The royal church of Brou in Bourg-en-Bresse was built between 1505 and 1532 by Margaret of Austria as a monument to the memory of her husband, Philibert the Fair, Duke of Savoy. It is a masterpiece of the Flamboyant Gothic style and is richly ornamented with magnificent tombs, a fine altarpiece, statues and choir stalls that testify to the artistry of 16th century Flemish craftsmen. 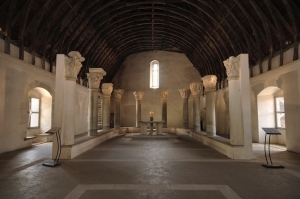 A museum is housed in the monastic buildings. You will discover in the three cloisters, the Municipal Museum of Fine Arts, the old kitchens which is projected a film about Margaret of Austria and its European destiny, and the apartments of the prior giving access to the upper galleries of the 3rd cloister. 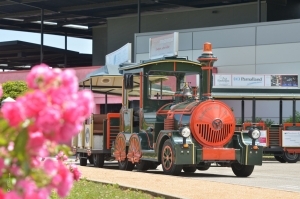 At the heart of the countryside, 20 minutes from Macon, the museum presents the life Bresse 15th century to today. 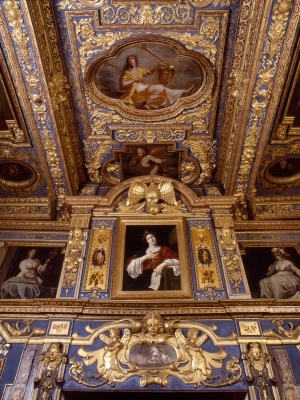 Architecture, rituals and customs, traditional clothing and caps resembling fireplace Saracen, enamels, local food and agriculture ... the museum's collections will be honoring the territory of the good life. 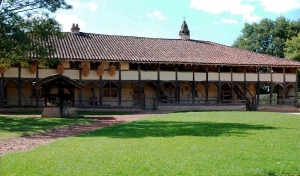 The museum includes the discovery of classified historic monument and its dependencies farm. 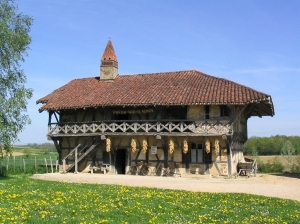 This farm is a unique testimony of the Bresse architecture characterized by its "Saracen" fireplace and timber frame construction. The reconstruction of the interior of the farmer with wooden furniture and everyday objects immerses you in the life of a peasant family of the 18th century. The vast natural area, giant games, Bressan coffee and poultry AOC, provide an opportunity for a country walk or a family day out. Boutique with local products free access. 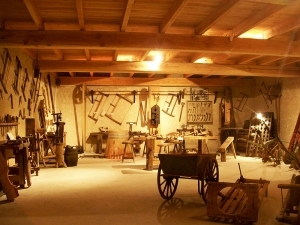 In a building from the XVI century, discover our old tools from our former trades. Our winery are open for more explication on our vinification technique. 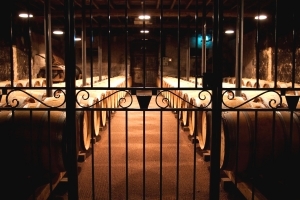 After that, we propose you a tasting in our cellar of XVII century. 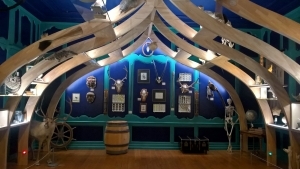 The museum explains the concept of special guilds for the building and construction trades, by showcasing the collection of Pierre-François Guillon ( 1848-1923 ), a Master carpenter of the guild known as “ The Duty of Freedom ”. 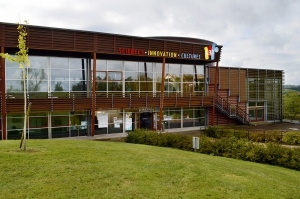 Pierre-François Guillon founded a school for construction design arts in 1871 in Romanèche-Thorins. 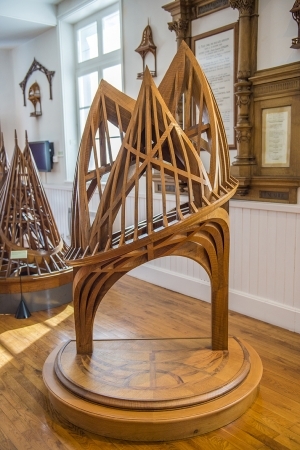 There he taught carpentry, joinery, and stonework to apprentices from all over France and from abroad, for 52 years. 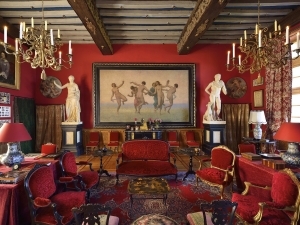 After Guillon’s death in 1923, his son Osiris donated his father’s masterworks, all the documents and souvenirs of his life as a Master, and all the School’s students’ documents and models to the department of Saône-et-Loire. The zoo is open all year long. 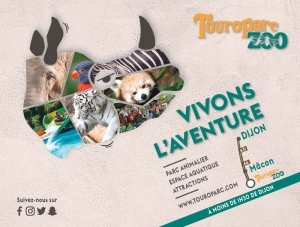 In this exotic and remarkable laid-oud 10 ha park, you will have a close up encounter with elephants, giraffes, seals, zebras, antilops, exotic birds and the prestigious couple of royal white tigers. Various attractions. Water slides in July and August.